Love it! Recently, I ran out of my FAVORITE go to curl defining creme (Aunt Jackie’s Curl La La) and I needed a quick alternative for my wash and go. That’s when I decided to try this curl cream. I had recently purchased the Lavish Moisture AND Curl Curlada Conditioner (loved both) so I wasn’t too surprised when I equally loved this product as well. 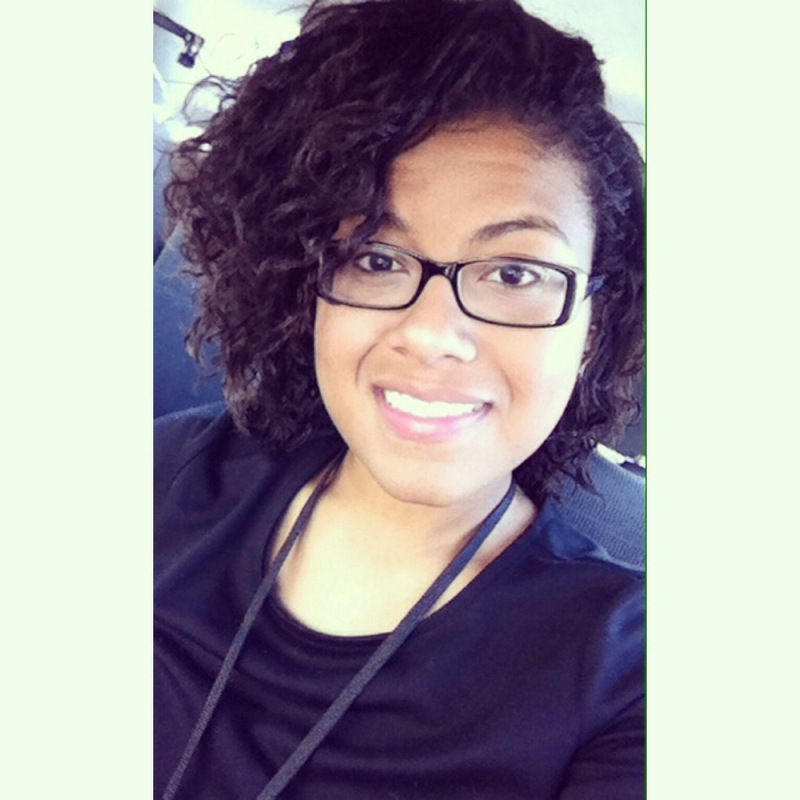 This curl creme gave me soft hold and lessened the frizz that this summer humidity is brining on. Also, when I used it on my wet hair, before applying my curlformers, the end results was super soft curls for the 4th of July that, on day 2 of the style, are still holding strong without that crunchy feeling that gels give. The only drawback is that the smell is a little sweet, not TOO sweet by any means, but I have a thing about sweet smells haha. It’s not a burnt brown sugar sweet smell though (thankfully!) but more of a light coconut and pina colada smell. It does dissipate once applied though so it’s nothing major. Thus, I will most definitely repurchase this product (although Aunt Jackie’s Curl La La is still my number one). I purchased this product at Walgreens for $10.99 for 8 oz. Water, Aloe Barbadensis Leaf Juice, Glycerin, Helianthus Annuus (Sunflower) Seed Oil, Glycine Soya (Soybean) Oil, Ethylhexyl Palmitate, Glyceryl Stearate. Tocopherol, Allantoin, Certified Organic Butyroosppermum Parkii (Shea Butter), Certified Organic Prunus Amygdalus Dulcis (Sweet Almond) Oil, Stearic Acid, Cetyl Alcohol, Sodium Carbomer, Potassium Sorbate, Fragrance, Phenoxyethanol, Caprylyl Glycol. After a shampoo and conditioner, I apply a leave in to my hair. 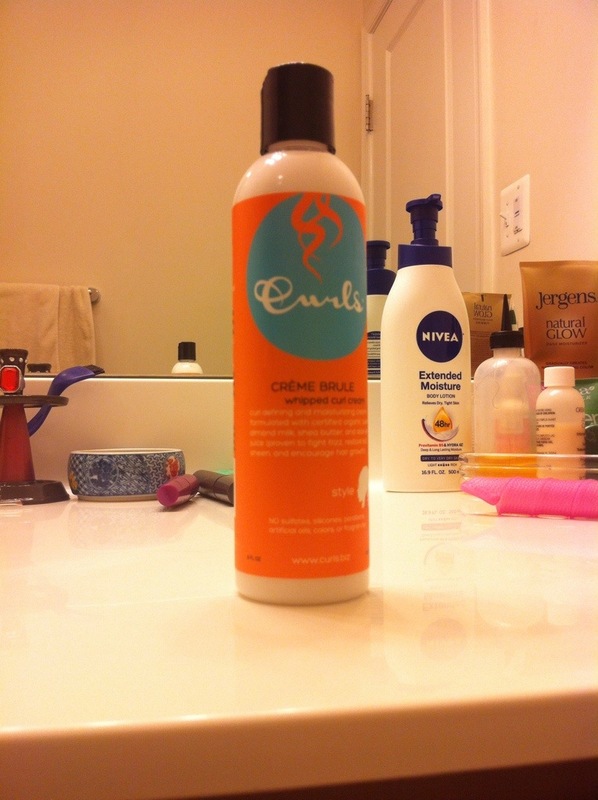 I follow with a light oil, like coconut, then apply this curl cream to my hair scrunching each section. 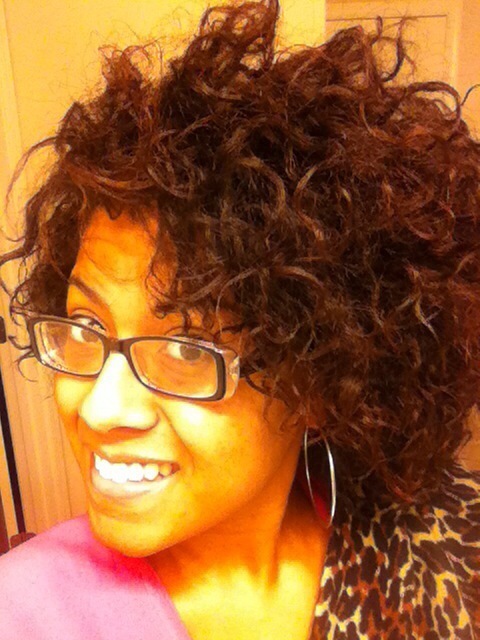 Let air dry or diffuse and voila! Super soft hydrated curls! Before trying this product, I thought there did not exist a product in this world that could revive my 2nd/3rd day girls like the way Soft n’ Free’s Curl Activator does butttt I was wrong! This curl moisturizer is formulated to wake up second day curls (and third day, so on and so forth). 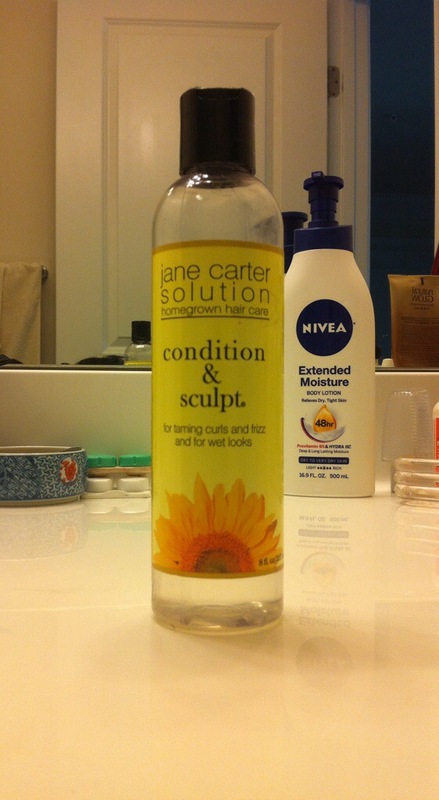 It provides ALOT of moisture but, be careful, because this product is THICK and too much can weigh down hair. The thick consistency is a result of the AMAZING ingredients, such as aloe vera, shea butter, glycerin, etc. SO HYDRATING! So, for all the curlies who hate having to co-wash hair every other day USE THIS instead and save yourself the repetitive washing. 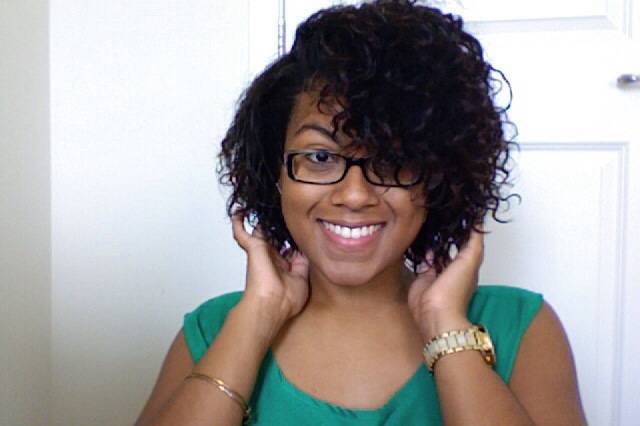 Overall, I really like this product and am excited to try more of the Curls line! You can purchase this product at Sally’s, Walgreens, Target and CVS for $10.99 for 8 oz. A little pricey but with the thickness of this product, it’ll last a loooong while. Water, Glycerin, Polysorbate 80, Methylheptyl Isostearate, Certified Organic Camellia Sinensis Leaf Extract, Certified Organic Anthemis Nobilis Flower Extract, Certified Organic Punica Granatum Fruit Extract, (Pomegranate Seed Extract) Certified Organic Aloe Barbadensis Leaf Juice, Certified Organic Butyrospermum Parkii (Shea Butter), Certified Organic Simmondsia Chinensis (Jojoba) Seed Oil, Certified Organic Cocos Nucifera (Coconut) Oil, Certified Organic Cocos Nucifera (Coconut) Fruit Extract, Triticum Vulgare (Wheat) Germ Oil, Silk Amino Acids, Citric Acid, Guar Hydroxypropyltrimonium Chloride, Disodium EDTA, Potassium Sorbate Phenoxyethanol Caprylyl Glycol, Fragrance. 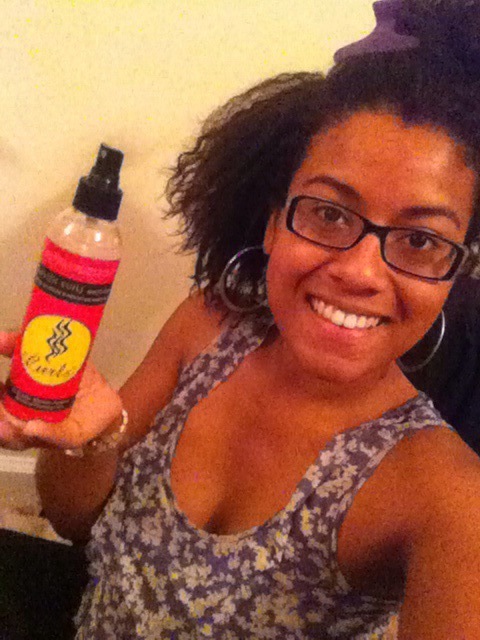 I really like to use this during my LOC method (as my leave in) to rehydrate my hair. I talk about the LOC method (for those of you that don’t know what the LOC method is) in this section of my blog. For second (or third) day curl refreshers and restyling however, just spray onto dry hair and let your curls do the rest! 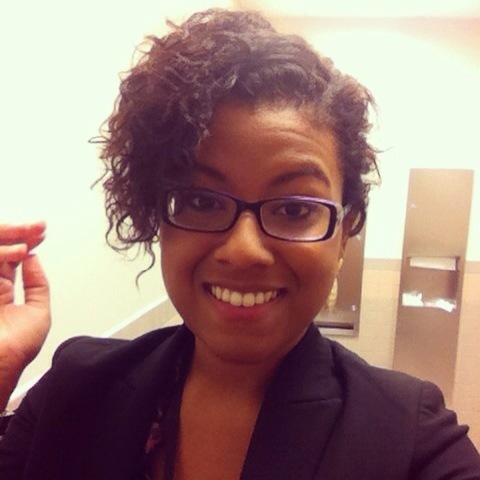 Don’t like the crunchy hold that gels give your curls? But, don’t like the light hold that cremes can sometimes deliver? This product is a perfect medium!! It truly conditions like a creme while sculpting like a gel! When I first used this product, I fully expected it to be like an extra liquid gel. Which meant that I expected super crunchy hair. NOPE! As soon as this product came out of the bottle and I began to rub it between my palms, I realized I was wrong. This product is actually a THICK liquid that truly can only be described as “liquid lotion for hair.” It’s become a staple in my wash and go routine and it truly does give me super defined yet super soft curls! Love it! I got this product from a product swap with one of my close friends but this product can be purchased one the Jane Carter website or at Target for $9 for 8 oz. Water (Aqua), Polyquarternum 11, Panthenol, Salvia Officinalis (Sage) Leaf Extract, Urtica Dioica (Nettle) Extract, Rosemarinus Officinalis (Rosemary) Leaf Extract, Lawsonia Inermis (Henna) Extract,Sodium Cocoyl Quinoa Protein, Fragrance, Phenoxyethanol. I use this on my hair when I am doing a wash and go. So, after a fresh shampoo and condition (or co wash) I apply a leave in conditioner. After applying the leave in, I apply this product to my hair. 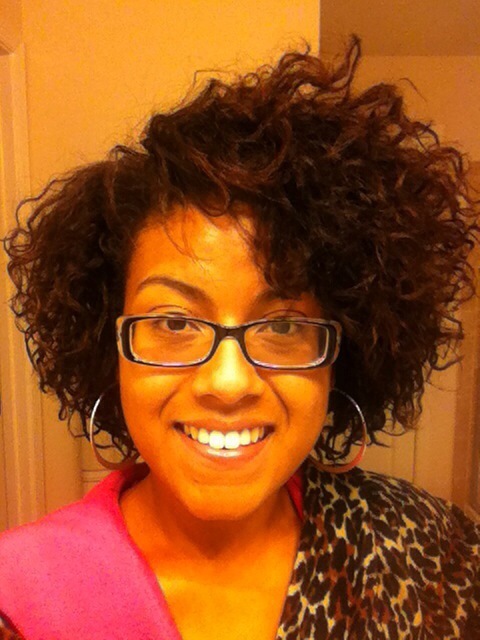 If you want an added boost of softness, you can add a curl defining creme as well but it’s NOT needed. Trying this product was a little out of the ordinary for me because, usually, I hate gels. Hate em. 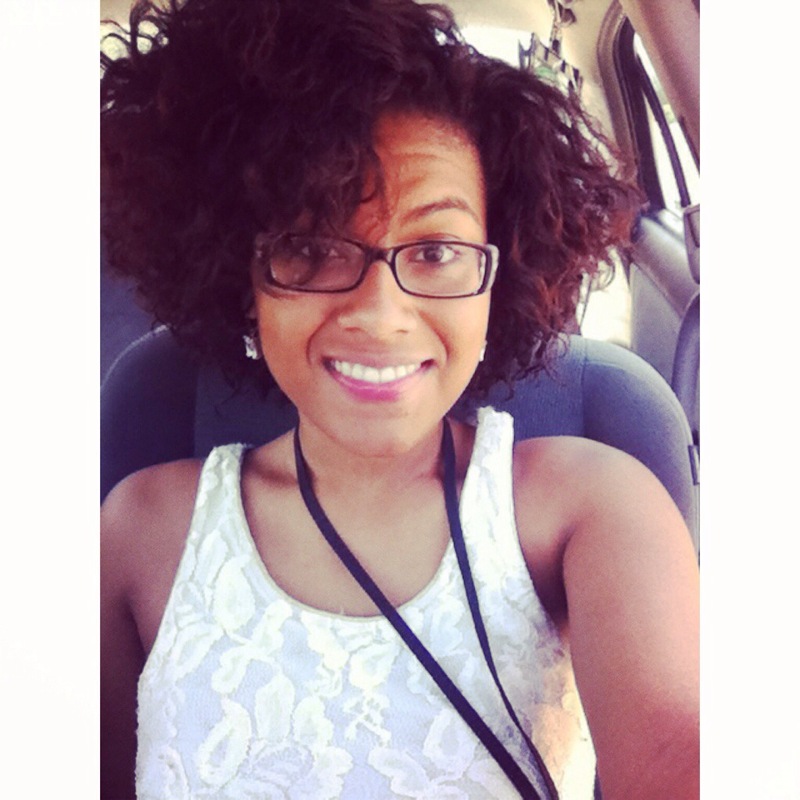 I hate the way they make my hair feel–the dryness, the crunch and the overall feeeeeel. Hate it! BUT the 80-90% humidity moved me to try this gel that claims to protect against the frizziness that humidity brings. After trying it I have to say IT WORKS! It really gave my hair GREAT hold, definition AND warded off the frizziness. At the end of the day, however, it’s still a gel and even though it claims to not leave the crunchy feeling that other gels leave, sadly, it does. For that reason, I’m glad that I purchased the 2.5 travel ounce and tried it out first. If you can deal with the crunchy feeling of gels then this product is FOR YOU but, if not, then don’t purchase. 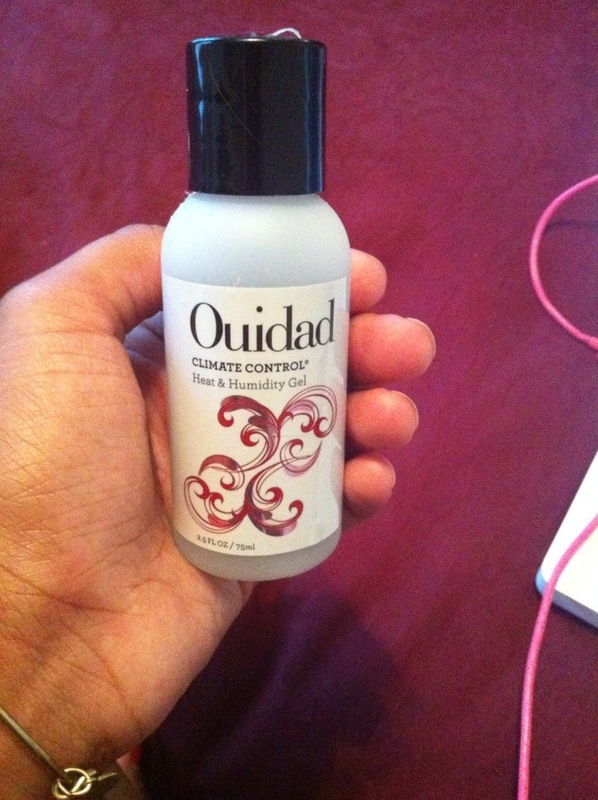 I purchased this product on the Ouidad website for $9 for 2.5 oz. A little goes a long way so it’s worth the $9! Water, Tocopheryl Acetate, Retinyl Palmitate, Panthenol (Provitamin B5), Chamomilla Recutita (Matricaria) Extract, Actinidia Chinensis (Kiwi) Fruit Extract, Lawsonia Inermis (Henna) Leaf Extract, Wheat Amino Acids, Hydrolyzed Wheat Protein/PVP Crosspolymer, Propylene Glycol, PEG-60 Almond Glycerides, PEG-12 Dimethicone, Dimethicone, Polyquaternium-28, Glycerin, PPG-26-Buteth-25, PEG-40 Hydrogenated Castor Oil, PVP/DMAPA Acrylates Copolymer, Hydroxyethylcellulose, Methylparaben, Propylparaben, DMDM Hydantoin, Fragrance. After applying a leave in conditioner, apply this gel to freshly washed hair. If you don’t like the crunch of gel, you can still use this product for hold and definition if you mix it with a curl defining creme (such as Aunt Jackie’s Curl La La) and diffuse your curls. The ULTA website features a styling video tutorial as well. I feel like this summer is my lucky summer when it comes to products! I’ve been finding some true favorites lately! This product? Add it to the list cause I am in LOVE! 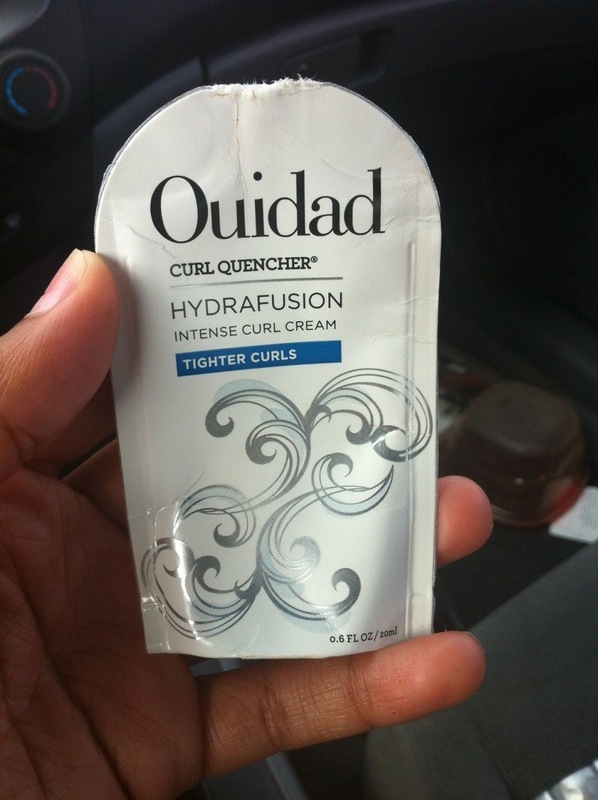 This curl cream adds some serious hydration to my curls. That’s probably why it’s cause “Hydrafusion” haha Seriously, if you want a GREAT curl cream to add to your wash and go’s–look no further! This cream adds definition, fights frizz, hydrates hair, WITHOUT that gross crunchy feeling that gels leave. It reminds me of my favorite curl cream Aunt Jackie’s Curl La La BUT this cream adds more moisture to the hair. The only drawback? THE PRICE. I purchased two products from Ouidad and got the free sample size of the product. I’ve used it twice already and have another use still left in the packet, so I figured before I ran out that I’d purchase a bottle. How much was it you ask? $26! $26 for only 5 oz!! As much as I love this product, the serving size is NOT enough. I’m still debating on whether I’ll pay that prize or not but this product? Amazing! After a condition, or co wash, I apply a leave in conditioner to my hair and a light oil. Then, apply this cream and allow your hair to either air dry or diffuse. I would suggest diffusing for more curl definition. Love this product! As far as curl defining products go, this product comes second only to Aunt Jackie’s Curl La La (which I’m obsessed with)! This product instantly defines my curls, getting them ready for a short and sweet blast from my diffuser for maximum definition. This product also gives you SHINE and MOISTURE which, in the end, leaves you with super soft defined curls. Who doesn’t love that?! The smell is also sweet and tropical! It is ORGANIC, Paraben Free, Protein Free, Silicone Free, Sulfate Free AND Cruelty Free. I bought this product as part of my Oyin snack pack on the Oyin website. I would recommend this snack pack for anyone that is new to the Oyin hair care line as it gives you the ability to try a variety of sample size products (give you about 1-3 uses of each) without buying the full sizes. Love! However, there are 3 different sizes of this product. Starting at 4 oz for $14. 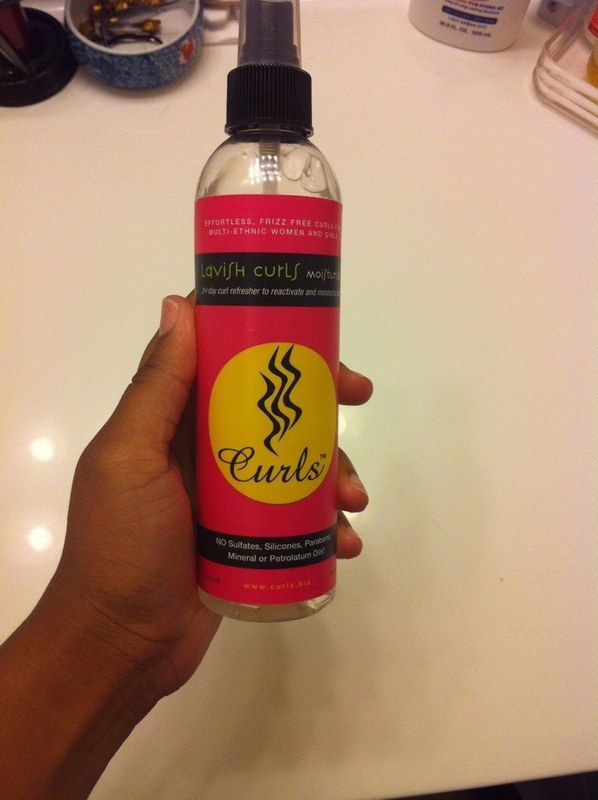 Curly Nikki has a great review on this product as well–here is the blog. 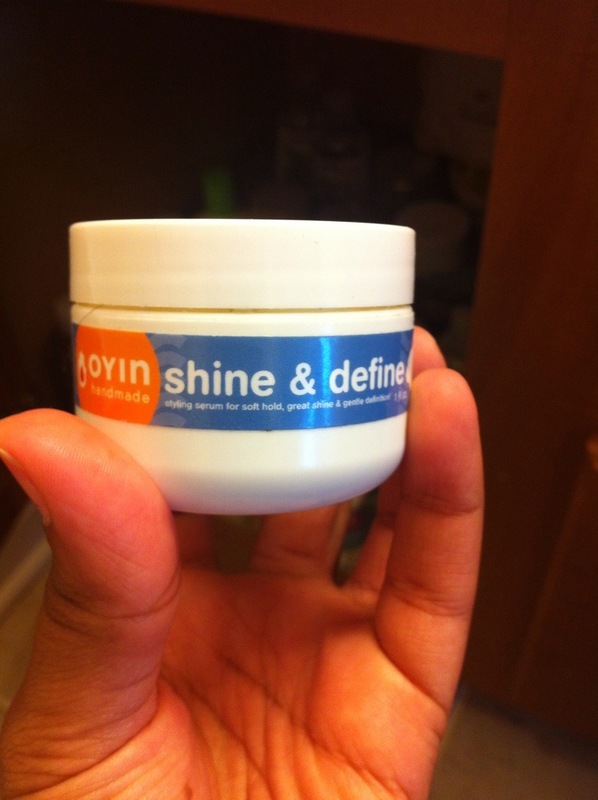 AND Oyin Handmade also has a super cute YouTube video that tells you how to use this product to style your hair. Water, Linum usitatissimum (Flax) Seeds (Organic), Aloe barbadensis Leaf Juice (Organic), Sea Vegetable Complex, Cocos nucifera (Coconut) Oil, Ricinus communis (Castor) Seed Oil, Unrefined Butyrospermum parkii (Shea Butter) Fruit, Raw Honey, Vegetable Glycerin, Stearic Acid (from Palm), Emulsifying Wax NF (Vegetable Derived), Fruit Pectin, Xanthan Gum, Dextrose, Phenoxyethanol (and) Caprylyl Glycol (Preservative), Citrus limonum (Lemon) Peel Oil, Citrus aurantium dulcis (Orange) Peel Oil, Fragrance. As I mentioned above, you can watch this YouTube video to tell you how to style your hair. But the way I used it, was as follows. After a fresh wash and condition, I apply a spray leave in such as Carol’s Daughter Black Vanilla Leave In. Then, Giovani’s Direct Leave In Conditioner. A small amount of Coconut Oil and then this product to shine, define, and seal all that moisture in. 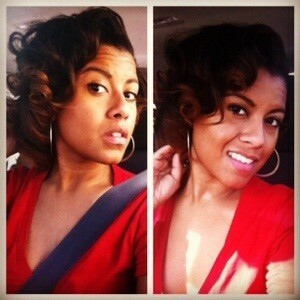 A curl diffuser is a nice add into the mix for maximum curl definition! You’ll love the end results, promise!